The fourth of the five adventures in the Legacy of the First Age series. It contains an exciting and mysterious 4 Act storyline, new creatures and enemies, and five pregenerated character to get started right away. 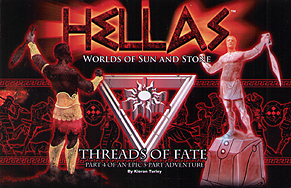 This scenario can be run either as a stand-alone adventure, or as part of an epic adventure across the Worlds of Sun and Stone.